This is a Bandbox lid. 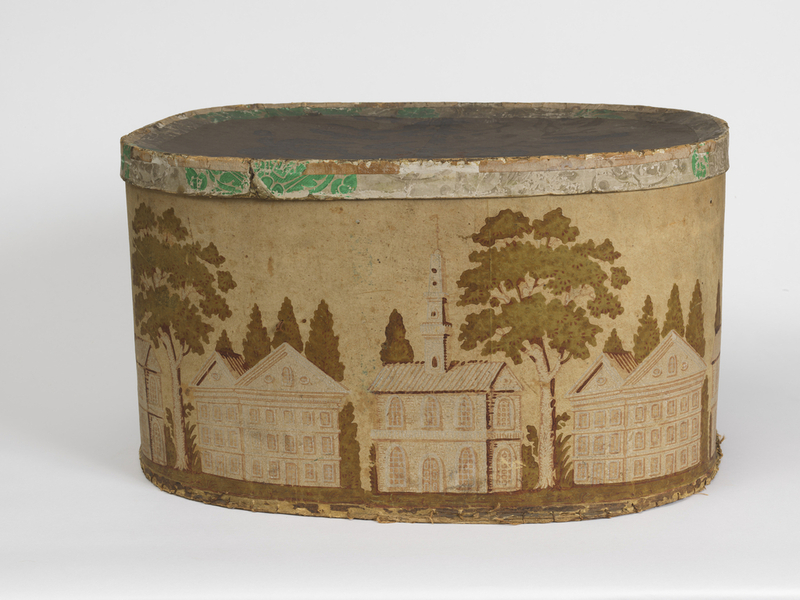 It is dated 1830–50 and we acquired it in 1954. Its medium is block printed paper on pasteboard support. It is a part of the Wallcoverings department. This object was catalogued by Horace L. Hotchkiss, Jr.. It is credited Purchased in Memory of Madame Raimondo de Madrazo.